Built using low-weight materials and electronics, the kites generate clean, renewable, low-cost energy. By reaching greater heights, where the wind is stronger, they produce 50% more energy. Image extracted from one of the YouTube videos on the Makani project. Clean energy sources are already available on today’s market. However, there is still a long way to go before their use is significant at a global level. In the case of wind power, which represents just 5% of the energy production the world consumes, the reasons are mainly financial. 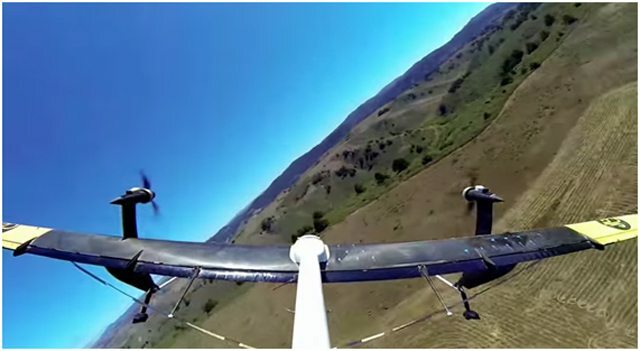 Google aims to change this scenario and accelerate the change towards clean, renewable, low-cost wind energy with the Makani project: kites which are much more energy efficient than conventional wind turbines, include very low-weight materials and electronics, and have smart software and a much lower production cost. 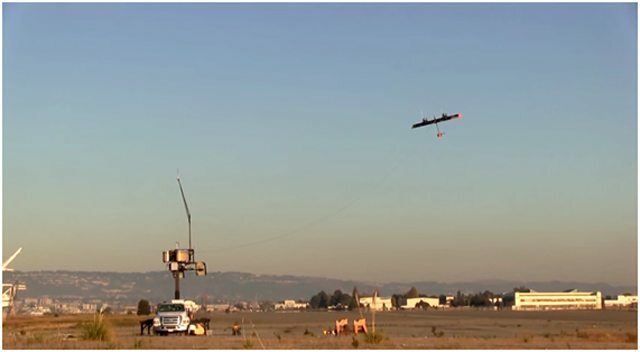 In 2013 Google X, the company’s technology division which is also developing the driverless car and the balloons to take the Internet to the most inaccessible places on the planet, bought Makani Power, the company that was working on the energy kite project with the aim of implementing them on a large scale. The purchase of Makani has undoubtedly boosted the project’s development and now, having completed the prototype, the first kites are being constructed. These will fly in wind parks that are similar to the traditional ones. Video showing tests for the Makani energy kites carried out in 2013. At present wind turbines are large, heavy structures, which are very expensive and complex to build: on average, they require around 100 tons of materials. Moreover, they can only be installed in places where the wind reaches 20-28 kilometres per hour, which reduces the possibilities of using them to less than 15% of the ground surface around the world. In other words, this system does not permit the technology to have a universal or scalable use. New technologies were needed. The Makani energy kites use the same aerodynamic principles as conventional turbines, but they dispense with the traditional towers that support the turbines and incorporate the latest technological innovations. Instead of using tons of steel and concrete, they are designed with advanced materials such as carbon fibre, which is resistant, light and economical, thereby eliminating 90% of the materials used in the present wind turbines. They also integrate smaller, lighter and more powerful computers, with smart software. As they are aerodynamically more efficient and can reach greater heights (80-350 metres), where the winds are stronger, they generate 50% more energy at a much lower cost. In addition, as they are not anchored to large stations, they can be installed in many more locations. 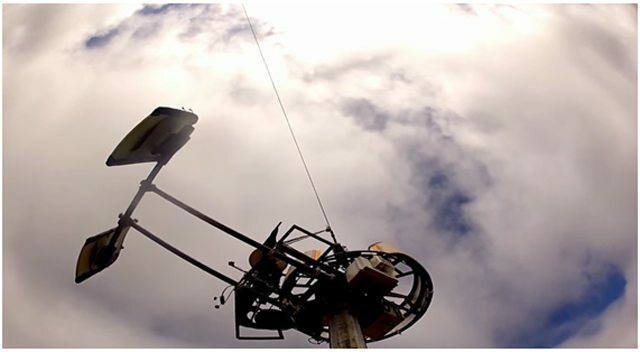 Image of the ground station extracted from one of the YouTube videos on the Makani project. How Do the Energy Kites Work? The kites have four parts: the energy kite in itself, equipped with turbines; the tether connects the kite to the ground station and is made from strong, flexible conductor wires surrounding a high-resistance core; the ground station occupies very little space and is used to secure the kite as well as serving as housing for the kite when it is not flying; and the computer, which is what controls the entire system and is located in the ground station. The kite is launched into the air from the ground station and flies around in large circles where there is a consistently strong wind. The air moves through the blades, making them rotate so the generator produces electricity, which is conducted through the tether to the grid. Once again, Google presents us with an ingenious, technologically advanced solution which could provide the answer to a global problem.